Looking for ways on how to improve posture? For those who are in need of tips on how to have good posture, then this practical guide will surely come in handy. Here, you can find simple and easy ways on how to get better posture, so you will no longer have to suffer from any health issues linked with a poor stance. Read along and check out these guidelines that will help you attain balance and good health with proper posture. Generally, proper posture does so much to give you a youthful appeal – even better than what Botox or cosmetic surgical procedures can do for you. Furthermore, it is instrumental in ensuring bone health, which means you can also prevent yourself from suffering from disorders linked with weak and brittle bones. Some people may associate a stooped stance with old age, yet poor posture does not necessarily make it an exclusive feature of ageing. In fact, you can age gracefully without slumping or slouching. By attaining proper posture, you can look and feel good from the inside and out. If you think that your posture needs some improvement, then it is about time that you start doing something about it. Consider applying these tips that are tried and tested to help you achieve grace, poise and balance with proper posture. 1. Give your body a good stretch. Most people spend hours hunched and slumped in front of their computer because of work or leisure purposes. Unfortunately, staying in this position increases the possibility of developing bad posture that may cause health problems eventually. Thus, it helps to stretch your body once in a while to enhance your range of motion and stay active. Instead of spending several hours seated behind your desk, simply get up and stretch for a few minutes. You may also walk around or stand to enhance your range of motion after long periods of remaining sedentary. 2. Perform quick and simple exercises. Before you wake up and during bedtime, just lie on the floor and move your arms and legs as though you are making imaginary snow angels. Do this for at least two minutes to keep your arms and legs mobile and energized. This movement can also improve circulation, which is beneficial to your overall health. In addition, you may want to roll up your towel and place in on the floor, directly underneath the spine. Roll your back on the towel for a gentle and soothing massage. You will love how relaxing it feels to have your back move against the towel just like those foam rollers found at the gym. However, just be mindful of your movement. In case you experience a painful sensation, no matter how slight it is, stop right away. Eventually, your body will learn to adapt to these sensations until it no longer feels any pain. Each time you sit, make it a point to catch yourself whenever you slouch. Being aware of your posture is one way toward improvement. After all, you need to be more attentive to things you are doing wrong, so you can correct yourself and do something about your stance. When you are at the office, always sit up and maintain a tall posture instead of slouching. Slowly build a better habit, and your body will soon become accustomed to a new and improved way of sitting. Sure, it may take some time to develop the right posture, but with awareness and exercise, you can sit up tall and straight habitually. 4. Improve your core muscles. Aside from giving you amazing abdominals, core exercises can help improve your posture as it is responsible for holding your body upright at all times. Some exercises such as yoga and pilates are effective in building up your core, or the muscles located at your pelvic and abdominal regions. Perform exercises that target these areas, and be sure to do these workouts regularly. With a stronger core, you can enhance your energy levels, improve your posture, and feel much better about yourself. 5. Keep your spine well-supported. As people age, it is common for them to experience weak muscles, specifically among women in their menopause period. Muscles surrounding the spine are often affected, and this causes some women to naturally stoop or slouch even when they do not want to remain in this posture. With this in mind, it helps to perform certain exercises that can improve the back extensors, pelvic muscles, side muscles and neck flexors. These are essential in enhancing your stance regardless of your age. You will also appreciate the fact that working out these areas of your body can make your spine stronger and less prone to pain even after standing for long hours. 6. Boost your overall strength by lifting weights. Wanting to improve your posture? 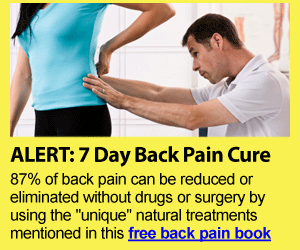 Tired of having that hump on your back that makes you look ten times older? Then, you should seriously consider lifting weights at least thrice a week. In most cases, fractures caused by vertebral compression can make you appear smaller as you naturally develop a hump in your upper back. This is also due to osteoporosis, a condition that causes your bones to become thinner and more brittle. To avoid this condition, you should engage in weight-bearing workouts such as weight lifting and climbing stairs. In fact, several studies prove the benefits of how brisk walking on a regular basis can improve bone density. Your posture is not only important in giving you that youthful and vibrant glow, but it also has a huge impact to your health. When you maintain proper posture, you can prevent issues that are typical in old age such as osteoporosis and osteoarthritis, to name a few. So, aside from being mindful of your diet, be sure to perform exercises that can support bone health and good posture, as well. Make it a point to follow these guidelines that support your health and posture, which can do wonders to your body in the long run. Does Horizontal Back Decompression At Home Help Relieve Back Pain?